Here come the 76th annual Golden Globes, whose mysterious group of 90-some Hollywood Foreign Press Association members somehow have stood the test of time and taunting. Then came the January 2018 ceremony, in which Oldman won a Globe for his portrayal of Winston Churchill in Darkest Hour. He showed up, accepted his trophy with gratitude and made no reference to his previous call for a boycott. Plus, he’ll be a presenter during the Sunday, Jan. 6th ceremony on NBC. Funny how that works. The latest Globes will be co-hosted by Andy Samberg and Sandra Oh, who’s also a nominee for her role in BBC America’s Killing Eve. Last year’s telecast drew 19 million viewers, a bit less than the 19.8 million for CBS’ Grammy Awards. But NBC’s not complaining, and maybe we also should ease up on the criticism. Because in recent years, this small band of HFPA voters has made some pretty informed choices in the TV and streaming network categories despite a continued proliferation of product that makes it almost impossible to winnow these fields down to five nominees apiece. All five drama series finalists are worthy. The aforementioned Killing Eve is joined by FX’s The Americans and Pose, Amazon Prime’s Homecoming and Netflix’s Bodyguard. My preference is The Americans, which had an engrossing final season capped by a satisfying finale. Principal stars Keri Russell and Matthew Rhys are also nominated in the drama series acting categories. I’d love to see a sweep, although Russell has a tougher road against both Oh and Julia Roberts, who starred and excelled in Amazon’s Homecoming. The Globes’ quintet of musical or comedy series nominees also is solid. NBC’s The Good Place, lone interloper from the Big Four broadcast networks, will go against HBO’s Barry (an Emmy darling in September), Amazon’s The Marvelous Mrs. Maisel, Showtime’s Kidding and Netflix’s The Kominsky Method. I’m torn between Kidding and Mrs. Maisel, which likewise had a big Emmy haul. The toughest category to win arguably is for best performance by an actor in a musical or comedy series. Jim Carrey, who gave his best performance in years as the Mr. Rogers-like star of Kidding, squares off against Bill Hader (who the Emmy for Barry), Michael Douglas of The Kominsky Method, Donald Glover of FX’s Atlanta and Sacha Baron Cohen of Showtime’s Who Is America? I hope Carrey at long last wins. He’s deserving, and his acceptance alone should be an event in itself. 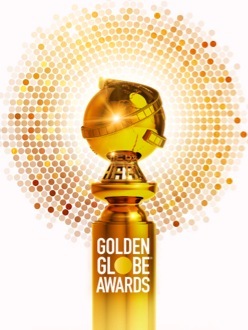 Let’s telescope one more category -- “Best Television Limited Series or Motion Picture Made for Television.” The finalists are Amazon’s A Very English Scandal, FX’s The Assassination of Gianni Versace: American Crime Story, HBO’s Sharp Objects, Showtime’s Escape at Dannemora and TNT’s The Alienist. Assassination of Gianni Versace looks like the likely winner here, but A Very English Scandal (with terrific performances by Hugh Grant and Ben Whishaw) could pull off a surprise. Just please don’t give it to Sharp Objects, which had a big thud of an abrupt ending. Whatever the outcomes or alcohol-infused spectacles, these latest Golden Globes again will attract the biggest star-studded crowd of the awards season with its blend of both TV/streaming and feature film nominees. There’s no reason to boycott them anymore. And as Oldman showed last year, such talk is cheap anyway. Still, Fox’s heavy promotion of The Masked Singer likely assures a substantial audience of curious voyeurs, at least for Wednesday’s first of 10 scheduled episodes. 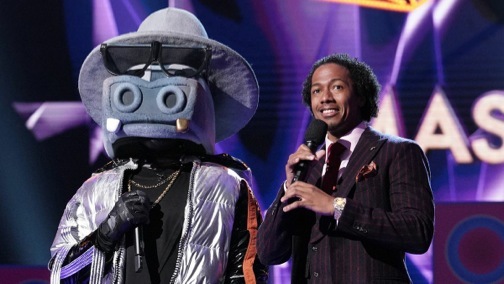 Your host is Nick Cannon, who’s taking a deep plunge from his eight years as the front man for NBC’s America’s Got Talent, which he left in 2017 over creative differences. Career planning may not be his strong point. Masked Singer puts Cannon in proximity to four well-traveled judges -- Robin Thicke, Jenny McCarthy, Nicole Scherzinger, Ken Jeong -- and a dozen purportedly big names disguised in garish costumes. All 12 are trotted out in the first two episodes made available for review. But Fox didn’t trust critics enough to reveal who’s behind the masks -- at the rate of one unveiling per show until the homestretch. Instead it’s all a big bleep and blur, although also a safe bet that you’ve seen many of these almost sure to be C-listers traipsing through other “reality-competition” concoctions. For the record, though, former Emmy and Grammy nominees are promised, as well as an athlete or two. The judges’ guesses of who might be behind these masks tend to be preposterously out of the question. Some are meant as jokes, such as Barack Obama and Ruth Bader Ginsburg. Otherwise, the names dropped for real during the first two episodes include Hugh Jackman, Jimmy Kimmel, Odell Beckham Jr., Lady Gaga, Justin Bieber, Justin Timberlake, Jake Gyllenhaal, Matthew McConaughey and Adam Sandler. None of them are ready just yet to slum it this hard. Better to lower one’s expectations several notches to the likes of MC Hammer, Ricki Lake, Rob Schneider, Jaleel White or Richard Simmons. Not that I know anything. Simmons’ name actually does come up, with Thicke saying of Poodle, “I want it to be Richard Simmons so hard.” Easy, boy. This pronouncement comes just after McCarthy “ad libs” (yeah, sure): “We can’t make heads or tails of who it is.” The studio audience roars with laughter. By the end of each show, three of the costumed competitors have been voted the least favorite to continue by verdict of the judges and that aforementioned rabid studio audience. One is then unmasked and sent home. That’s gotta be a real walk of shame. Which perhaps makes Masked Singer the I’m a Celebrity . . . Get Me Out of Here! of reality-competitions shows. Or is that holding it to way too high of a standard? Probably so. It comes so Nat-urally to him. The definitive version of “The Christmas Song” is by the late, great Nat King Cole. Expressive and to the point, here it is to close out another Christmas countdown. Have a great holiday, everyone! Well-wishes and pics of kids, families and pets amid Christmas surroundings are woven throughout. It’s all very nicely done.